Grenada’s supporters of the Caribbean Court of Justice request government postpone and fix the ascension bill before the 6 November vote. The stock and trade of politicians is the art of persuasion tossed with a dose of deception where necessary. Professionals in this line of work honestly believe they can convince ants to forego sugar and love salt. Those who survive this grim sport are indeed Great Persuaders who build monuments in their own name. Consensus building is not their game. The campaign for a Yes Vote in favour of Grenada joining the appellate jurisdiction of the Caribbean Court of Justice unfortunately reeks of gamesmanship and if they fail, political leaders in Grenada and Antigua would have dammed consensus in favour of naked political calculus. On 1 August 1976 Dr Eric Williams then the Prime Minister of Trinidad & Tobago, answered a question that today, some 43 years later, has enormous significance for the Grenada and Antigua referenda. On that day Trinidad & Tobago was celebrating Day One as a republic, making a clean and complete break from British colonialism. Why does the constitution of the new republic retain judicial appeals to the Privy Council when you, the Prime Minister, is one of the best known anti-colonial leaders in the Third Word? Dr Williams was asked. That sentiment captures the essential hesitation of many people in the Caribbean Basin to entrust their legal disputes to Caribbean jurists. Essentially, it comes down to widespread suspicion of the honesty and integrity of the judicial system and of political leaders which cannot be ignored. Recognising this indelible fact, proponents of the Yes Vote have gone all out to make the case that politicians have no role in the administration of justice by the CCJ. The bold print of the CCJ Agreement plainly says otherwise. It has been rumored that when the British monarch offered him a knighthood, Dr Williams refused. The same of course cannot be said for the leaders of the Yes Campaign who lap up accolades of the former colonial monarch and proudly display them as badges of personal honour. The wigs that have been discarded by the UK Parliament now comically adorn the heads of the respective Speakers in Grenada’s Parliament; this underscores the hypocrisy that the CCJ vote ushers in a new era of anti-colonialism. The paradox is that distrust for politicians sits solidly alongside the longing for a Caribbean-based final court of appeal. All the same, the vote on 6 November requires a sober examination of the Bill and the Agreement that presage the CCJ. Article XXXII of the CCJ Agreement states that the political leaders of Caricom have the right to change the CCJ Agreement at any time. Therefore, it is impossible for the CCJ to be free from political interference despite what the Yes Campaigners say. The Grenada Bill entrenches, or protects the right of final appeal to the CCJ. But the Grenada Bill does not protect the judges or the commission which selects the judges because that section of the Grenada Bill is not entrenched. Only the right to appeal to the CCJ is protected according to the Grenada Bill. The Grenada Bill refuses to allow appeals to the CCJ where there are challenges to election petitions or the appointment of persons to Parliament. When it was pointed out to the Yes Campaigners that the CCJ should break ranks with the Privy Council in this bar from final appeal of political questions, the government refused to even have a conversation. Andre Lewis, a Senator in Grenada’s Upper House representing the labour unions and a declared supporter of the regional court has pleaded that the bill here should permit political questions to be heard by the CCJ. The Yes Campaigners said no. In other words, the political leaders of Caricom have banned Caribbean citizens from going to a Court of Law to ask any question about how the Commission makes its decision and whether its decisions to appoint one judge or the other were proper or possibly biased and corrupt. 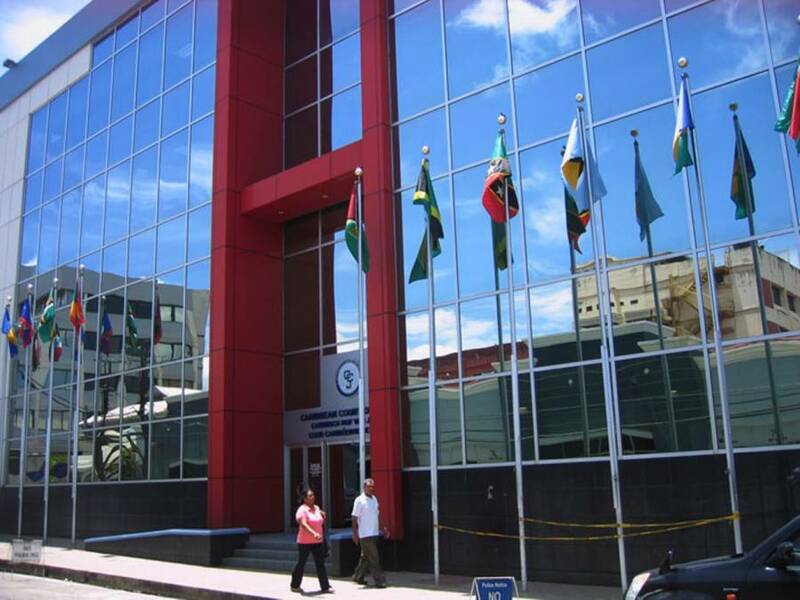 The CCJ Agreement states that only the political leaders of Caricom can discipline the Chief Judge of the CCJ. Those political leaders must also approve the person selected as Chief Judge of the CCJ before he or she is appointed to head the Court. Readers can judge for themselves the extent of political involvement in the CCJ and whether it is proper in a final Appeals court. From the writer’s perspective it is not the wording of the Agreement that is the problem but the failure of the Yes Campaigners and of the governments of Grenada and Antigua to provide full disclosure of their role in the CCJ. The outgoing President of the CCJ, last year warned that “an independent commission was required to oversee the payment of the CCJ Judges. Byron’s statement at the time was that this independent commission is necessary “to protect the integrity of the Court.” Now, as the most prominent member of the Yes Campaign, Justice Byron has retreated from that critique he offered in June 2017. The Chief Spokesman for the Yes Campaigners in Grenada is a constitutional scholar and member of the Commission that selects Judges. He is also the OECS representative on the Commission for civil society groups which is a perplexing choice, since he has adopted a particular hostility with civil society groups that are asking questions about the CCJ Agreement and the Grenada Bill. Yes Campaigners for the CCJ have refused to discuss the Bill or the CCJ Agreement and instead have commissioned calypsos, reggae and dancehall that evoke Caribbean unity which they hope will secure the vote. The campaigners tout the farce that the November vote signals complete independence from Britain which they well know, quickens with joy the heartbeat of every Caribbean man and woman. Enlisting noble cultural artists in this effort represents the most cynical aspect of political persuasion and the earnest aspiration of Caribbean people. Nobody, not least this writer, should object to the CCJ because it is not perfect. Nothing in human affairs is. For centuries the Privy Council got it wrong; it heard appeals from Grenadians and other formerly colonised and enslaved people who confronted Imperial Britain. But on 6 November colonialism is not on the ballot; constitutional crisis is and probably political stranglehold of judicial matters. To be clear, Grenadians and Antiguans are not smarter than Jamaicans, Trinis, Lucians, Vincentians, Kittians or Surinamese — neither of whom have joined the CCJ. We may never know why Yes Campaigners remain hostile to a request for friendly dialogue on issues in the local Bills and in the CCJ Agreement. As referenda day approaches on 6 November, the political directorate in Grenada and Antigua appear to be proving the British right when those former colonial bosses demanded 67% voter approval to change the entrenched constitutions handed down to the people of the Eastern Caribbean.